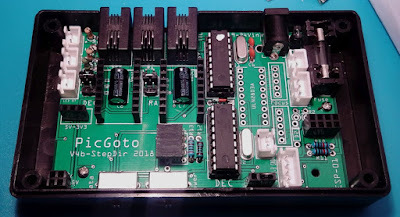 DIY Goto telescope controller based on Angel Caparros's PicGoto system. 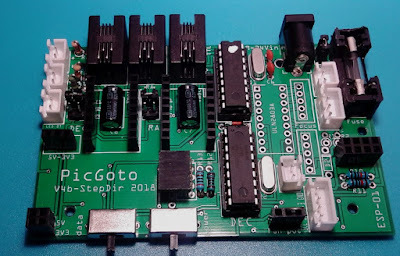 The power input is DC 9-24V and regulated internally by two DC-DC step-down buck modules, one converting Vin to 5V for MCUs, HC-06, Fan and LEDs and the other converting 5V to 3.3V for ESP-01. 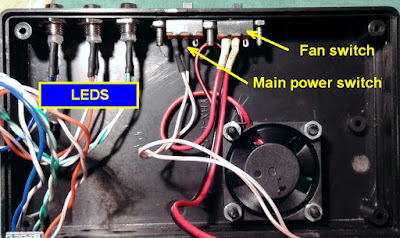 On one side of the box you can find two switches beside the control LEDs, the Main Power switch and a switch that activate/deactivate the fan. 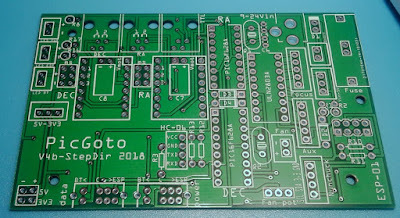 Below the LEDs, the two 3-positions small switches that set I/O data mode. 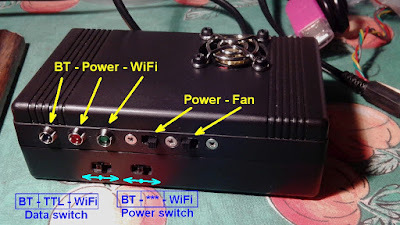 Set the switches on the left position if you want Bluetooth mode or set them to the right if you decide for WiFi mode. The switch on the left side controls the data signals while the switch on the right side turns on/off the corresponding module board. 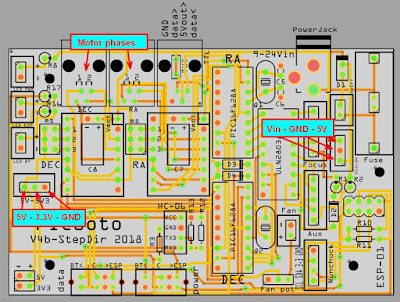 I designed the PCB with Fritzing and the exported Gerber files are available for download here below at the bottom of this page. 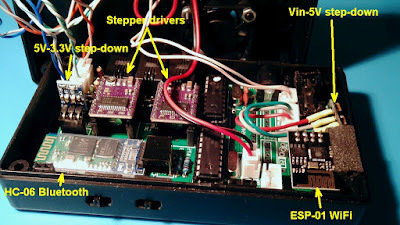 Please, be careful connecting the Step-down modules as shown below. Explore my image gallery for more images of the controller and accessories. 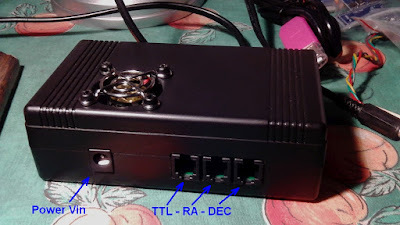 Before using the USB-TTL RJ9 connector jack read carefully this page!